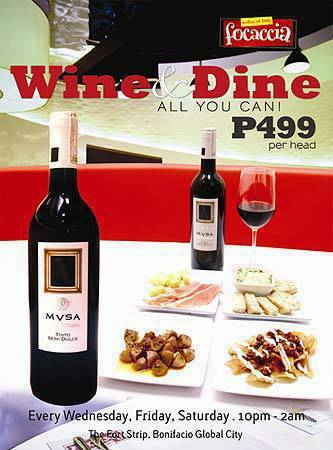 Wine and dine all-you-can at Focaccia for only P499, Unlimited beer at NLos for only P199, and more! Get more when you decide to make pizza your next meal---every order of a 14-inch pizza with a 1.5 bottle of Coca Cola at Brooklyn Pizza comes with a FREE serving of Buffalo Wings. Available for take-out and delivery only. Call the following numbers for delivery: 633-9999 (Ortigas), 821-0000 (Parañaque) and 376-7676 (Quezon City). 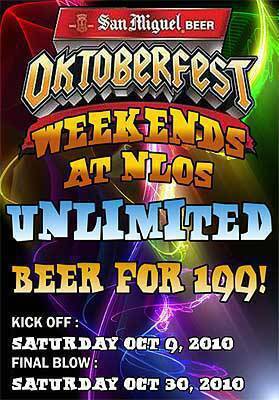 Celebrate Oktoberfest at NLos with unlimited San Miguel beer for only P199 during weekends. Promo is valid until October 30, 2010. NLos is at 177 Aguirre Ave. BF Homes, Parañaque City. 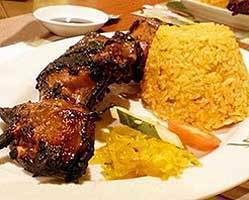 "Java-all-you-can" at Aristocrat and get unlimited java rice when you order any of the following classic BBQ dishes for only P185: Two-piece chicken BBQ, Boneless Chicken BBQ or Pork Spareribs. Promo is available until November 15 at all Aristocrat branches. 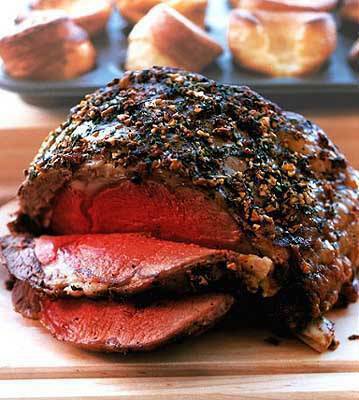 Trade in your brown bag for an executive lunch plate at Arya for only P375 (P395 for lamb). The lunch set includes appetizers and a drink, with a choice of beef, chicken or lamb koobiteh. Arya is at the Ground Level, The Podium, 18 ADB Ave. Ortigas Center, Pasig City. Tel. No. 571-3962. 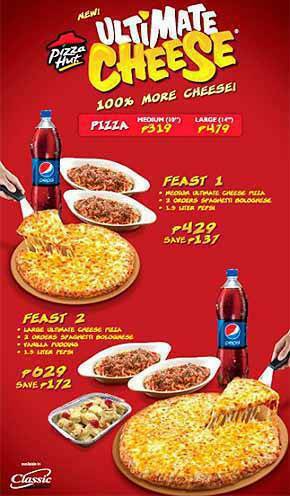 Get the ultimate cheese feast at Pizza Hut: starting at P429, get a medium-sized Ultimate Cheese Pizza, two orders of Spaghetti Bolognese and a 1.5-liter of Pepsi, or choose the large Ultimate Cheese Pizza which comes with two orders of Spaghetti Bolognese, vanilla pudding, and a 1.5-liter of Pepsi for only P629. Available at all Pizza Hut branches. Wine and dine all-you-can at Focaccia for only P499+ per person every Wednesday, Friday and Saturday from 10 p.m. to 2 a.m. Feast on Focaccia’s panizzas, pasta dishes, and sandwiches paired with their selection of wines. 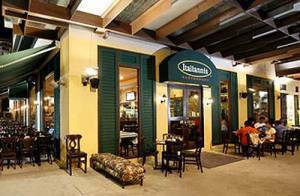 Promo is valid at their Fort Bonifacio branch: Ground Floor, The Fort Strip, Bonifacio Global City, Taguig. Spend Saturdays at Le Bistro Vert and enjoy a lunch meal from their a special sustainable food menu which supports local farmers: choose your soup or salad, appetizer and main course (choose from the entrées, pasta, pizza, or sandwich) for only P595+ per person. Available from 10:30 a.m. - 2:30 p.m. on Saturdays. 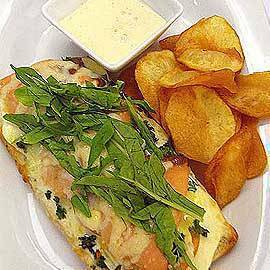 Le Bistro Vert is at Streetside, G/F Forbes Tower, Fraser Place, Salcedo Village, Makati City. Tel. No. 403-1841. A cut above your usual lunch fare, the Italianni’s Towering Flavors of Lunch has three layers: the first is a serving of light and healthy greens with the Insalata Felice; the second layer has Half Shell Mussels Capperi, with fresh mussels cooked in white wine and mussel broth, seasoned with herbs and black olives; and a serving of Grilled Porkchop with Asparagus to top off a hearty midday meal. 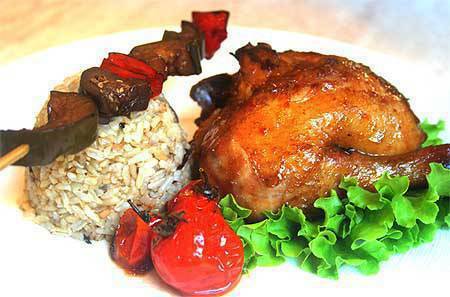 Good for sharing for a group of three to four, the Towering Flavors of Lunch is at P895. Available from Monday to Friday, 11 a.m. - 3 p.m at all Italianni's branches. 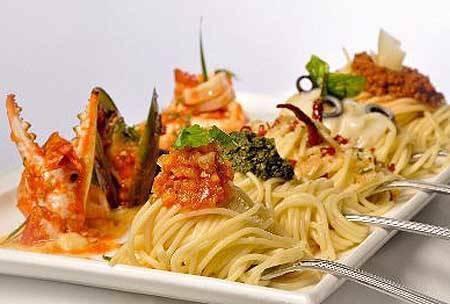 Indulge in an international buffet spread at Café Riviera's Dolce Vita! Dolce Italia! celebration until October 24, 2010. Create your own pizzas with choice toppings including Broccoli Florets, white mushrooms, fresh onions, roasted peppers, diced plum tomatoes, sun-dried tomatoes, anchovies, roasted garlic, pesto sauce, mozzarella, feta cheese, ricotta cheese, pepperoni, or spinach on newly-made thin crust dough. Sample the Chef’s recommendation of Tortelloni al Pomodoro (Hand-made, ricotta filled pasta with a plum tomato sauce), Pappardelle al Sugo ( Homemade flat noodles with classic Bolognese sauce), Penne all’Arrabbiata ( Quill-shaped pasta with tomatoes, herbs, pancetta & spicy sausage), and more plus main courses such as Steak Alla Pizzaiola, Roman Style Beef Scallops, Polenta and Quails, Veal Roast with Olive Sauce, Beef Bistecca, Lombards Bolito Misto, and Pizzaioli Beef Steak. Lunch and dinner buffet is at P1,100 ++ per person. Heritage Hotel Manila is at Roxas Boulevard corner EDSA ext. Pasay City. Tel No. 854-8888. Grab a table at 22 Prime at the Discovery Suites for date night and enjoy a 350-gram Rib Eye Steak for only P1,495+. Available for dinner all Fridays and Saturdays of October, the Rib Eye Steak comes with Soup of the Day and a trip to the salad bar. 22 Prime is at Discovery Suites, 25 ADB Ave. Ortigas Center, Pasig City. Tel. Nos. 719-6808, 719-8888. 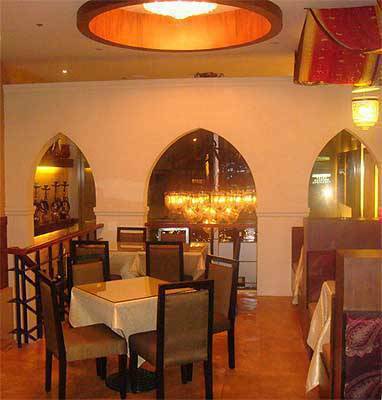 Photographs from aristocrat.com.ph, Arya’s Facebook account, 22 Prime’s Facebook account, Italianni’s Facebook account, and lebistro.ph.